The stock closed 1.73% higher at 223.65 on the BSE and has gained after four days of consecutive fall. It opened with a gain of 2.21% in trade today. The stock which closed at 219.85 level on Tuesday rose up to 4.41% intra day to 229.55 and intra day low of 217. 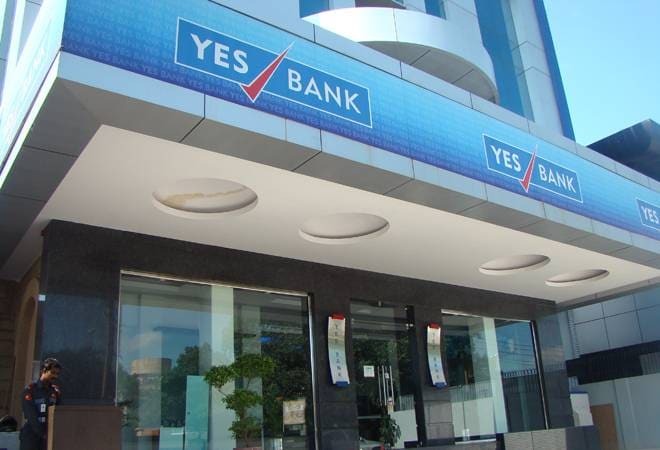 The YES Bank stock closed higher in trade today a day after the board of private sector lender decided to seek at least a three-month extension for Rana Kapoor, managing director and chief executive, from RBI beyond January 31, 2019. It has lost 29.01% since the beginning of this year and fallen 37.94% during the last one year. 32 of 46 brokerages rate the stock "buy" or 'outperform', ten "hold" and five "underperform" or "sell", according to analysts' recommendations tracked by Reuters. The RBI had last week curtailed the three-year term that the board had sought for Kapoor, also one of the promoters of the bank, to January 31, 2019, and asked the bank to find a replacement. The regulator offered no reasons for the curtailment of the term. In a regulatory filing, the bank said Kapoor has been in his position since the inception in 2004 and finding a suitable successor is a "time consuming challenge". "It was decided that Reserve Bank of India be requested for an extension up to minimum April 30, 2019 for finalisation of audited financial statements for fiscal year ending 2019; thereafter subject to RBI approval, up to September 2019 in order for the statutory AGM process to be completed," it said. To ensure a long-term succession plan, the board also decided to elevate senior group presidents Rajat Monga, who handles financial management, and Pralay Mondal, who heads the focus area of retail, as executive directors. The board, which met at the bank's corporate office on Tuesday evening, also established a search and selection committee comprising three members from the existing nomination and remuneration committee along with two external experts to identify Kapoor's successor. The bank had last week disclosed that the RBI has curtailed Kapoor's term by nearly two and half years. The board had reappointed him for a period of three years starting September 2018. Kapoor is the second chief executive at a private sector lender after Shikha Sharma of larger rival Axis Bank to face regulatory wrath in terms of extension of CEOs' tenure. Both the banks were found to have under-reported non-performing assets by over Rs 10,000 crore each for two consecutive years in regulatory audits conducted by the RBI. The apex bank move has not gone down well with the investors and the bank stock has seen steep selling in all the trading sessions since the disclosure was made. The stock lost almost 40 per cent since the RBI's action on Kapoor.